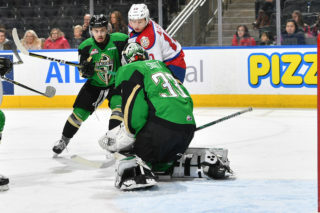 The Edmonton Oil Kings closed out the 2017-18 season on Sunday afternoon as they visited the Calgary Hitmen, wrapping up the season with a 7-3 victory. Hitmen left-winger Riley Stotts opened up the scoring on Sunday sending the puck past Oil Kings netminder Todd Scott less than a minute into the first period to give Calgary a 1-0 lead. Minutes later, the Oil Kings answered back as Tomas Soustal scored his 21st of the season on the powerplay to tie the game. Trey Fix-Wolansky added to Edmonton’s lead at the 10-minute mark of the period on the powerplay to make it 2-1. The Oil Kings first period powerplay success would continue as Tomas Soustal netted his second of the game unassisted at 12:41 of the period. Brett Kemp kept the offence coming for Edmonton scoring his 15th of the season on the man-advantage to put Edmonton ahead 4-1. Defenceman Matthew Robertson added to the Oil Kings powerplay production to give Edmonton a 5-1 lead at 17:54 of the frame. Calgary centreman Cael Zimmerman added a powerplay marker before the first period expired to make it 5-2 through 20 minutes. In the second period, Robertson would score the only goal of the period marking his second of the game to give the Oil Kings a 6-2 lead after 40 minutes. In the third period, Calgary defenceman Egor Zamula netted his second of the season on the powerplay to put the Hitmen within three. Just under eight minutes into the period Trey Fix-Wolansky would find captain Colton Kehler who would beat Schneider to give Edmonton a commanding 7-3 lead. 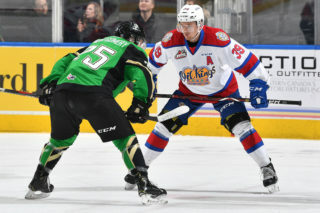 The Oil Kings would hold on to close out the season with a 7-3 win over Calgary. 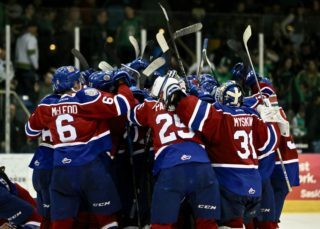 The Oil Kings powerplay was on fire on Sunday afternoon going 5 for 5 in the first period and 6 for 7 in the game. Tomas Soustal started the string of powerplay markers at 5:47 of the frame, Soustal picked up two powerplay goals in the period. Trey Fix-Wolansky sent a nice pass to captain Colton Kehler who would send it home scoring his 32nd of the season to give the Oil Kings a 7-3 lead. 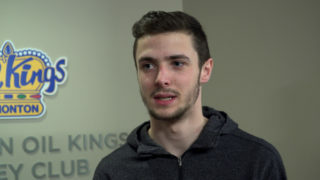 Oil Kings centreman Tomas Soustal helped lead the Oil Kings to victory on Sunday afternoon in his final career WHL game. Soustal finished the night with three points (2G, 1A). 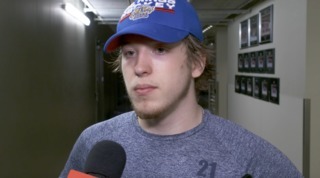 Oil Kings Jake Neighbours recorded his first career multi-point game on Sunday against Calgary. 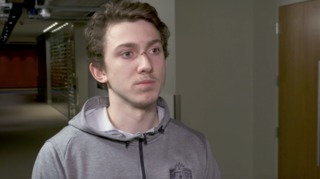 Neighbours finished the contest with 2 assists.